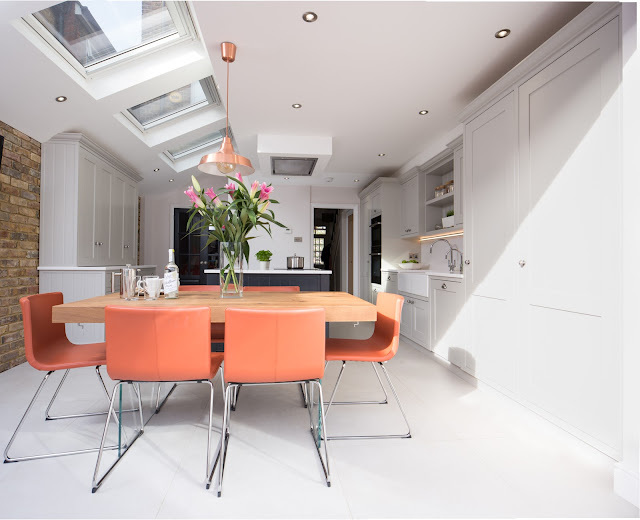 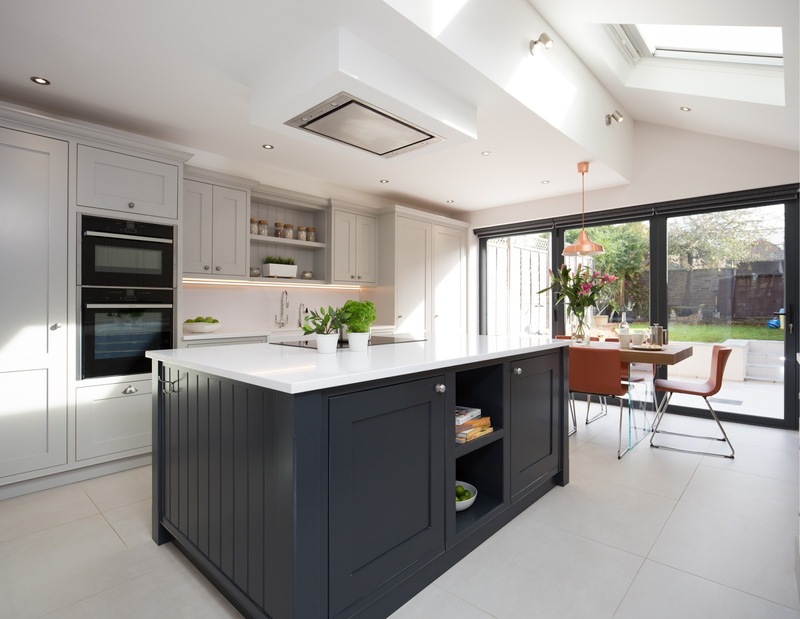 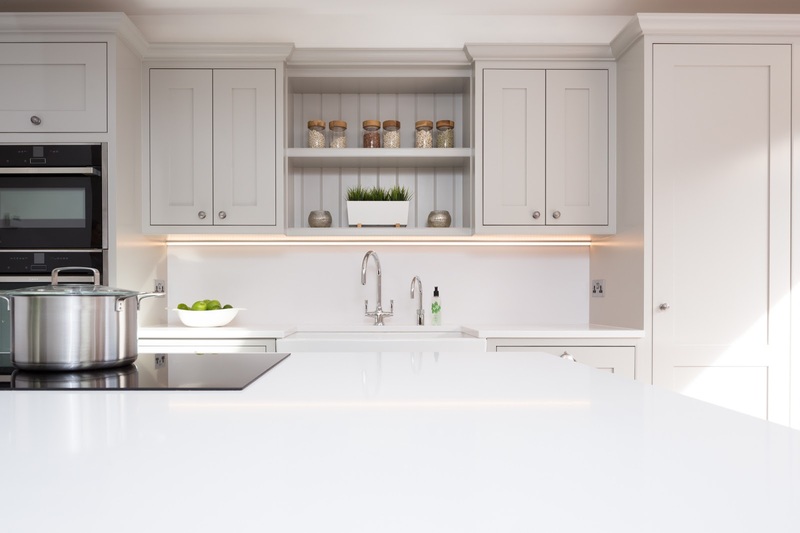 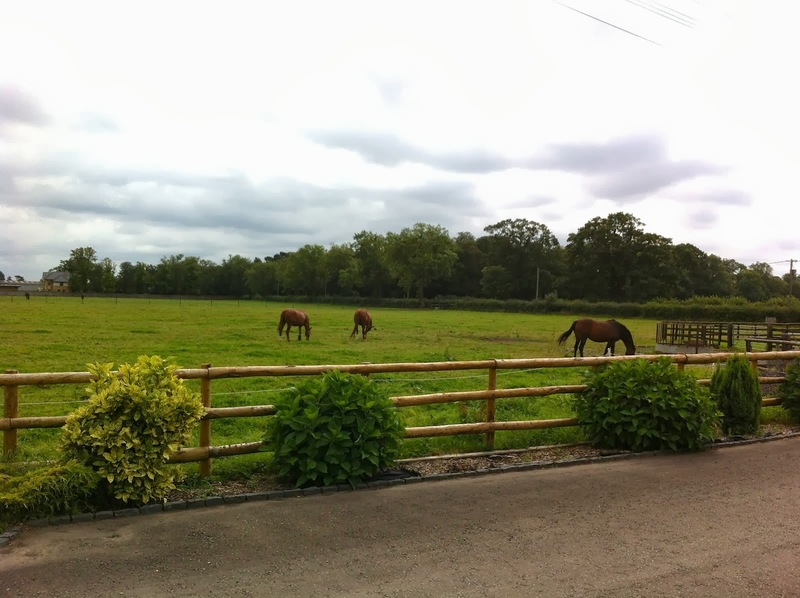 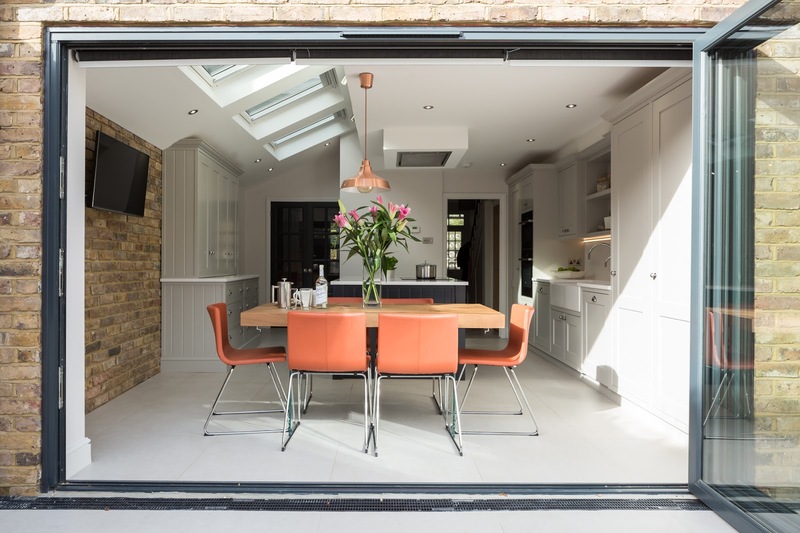 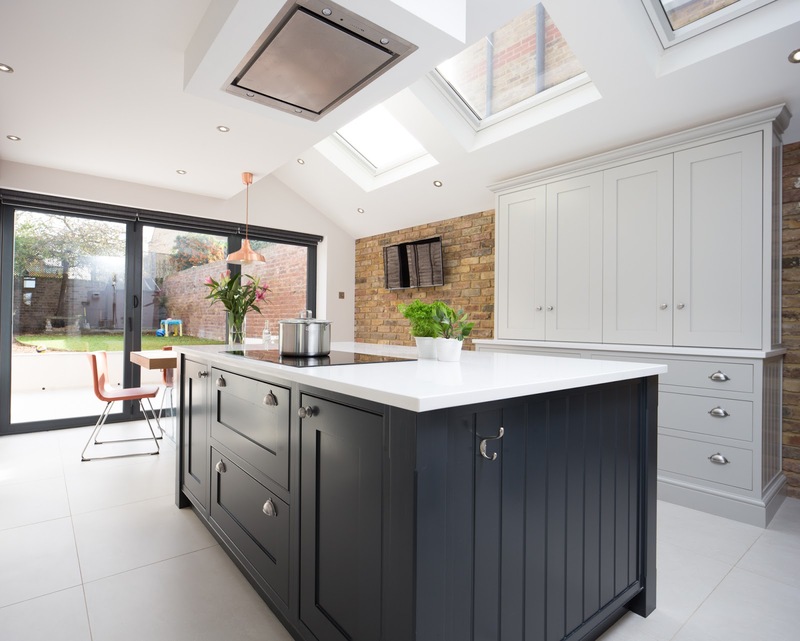 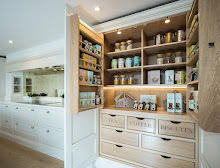 We’re delighted to share these beautiful photos of a kitchen we fitted in Windsor a few months ago. 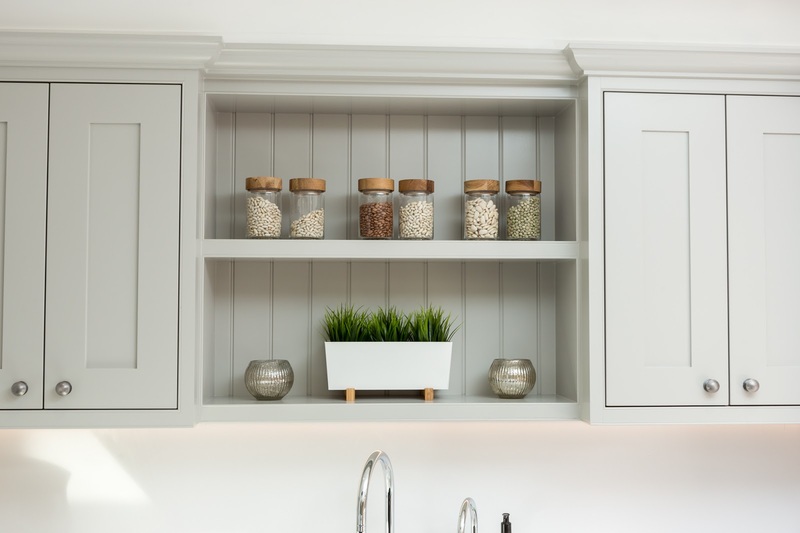 This is a traditional shaker kitchen with in frame cabinetry and surrounding beading. 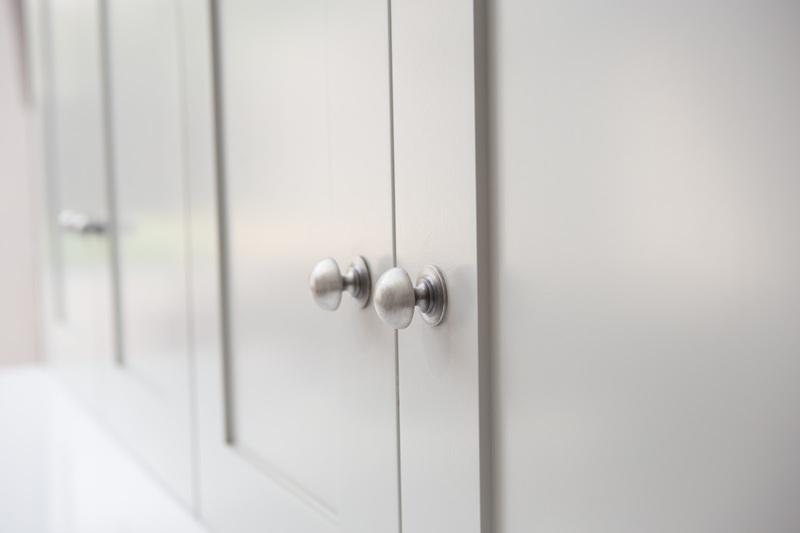 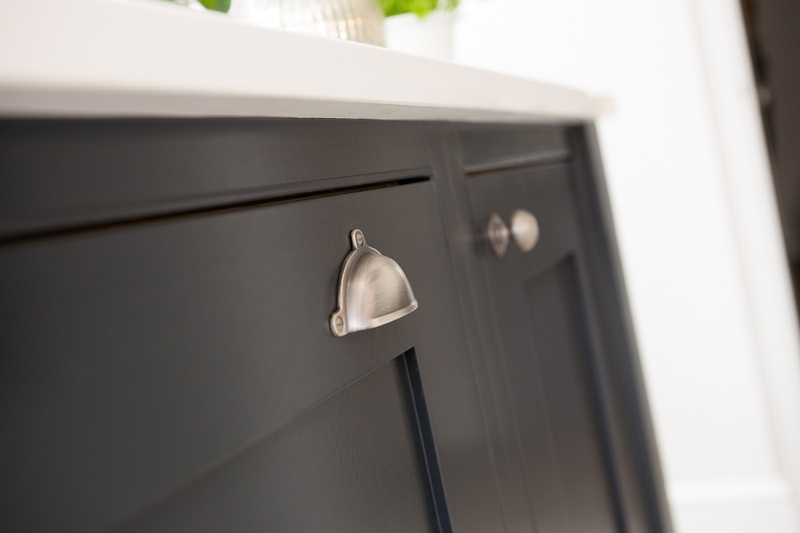 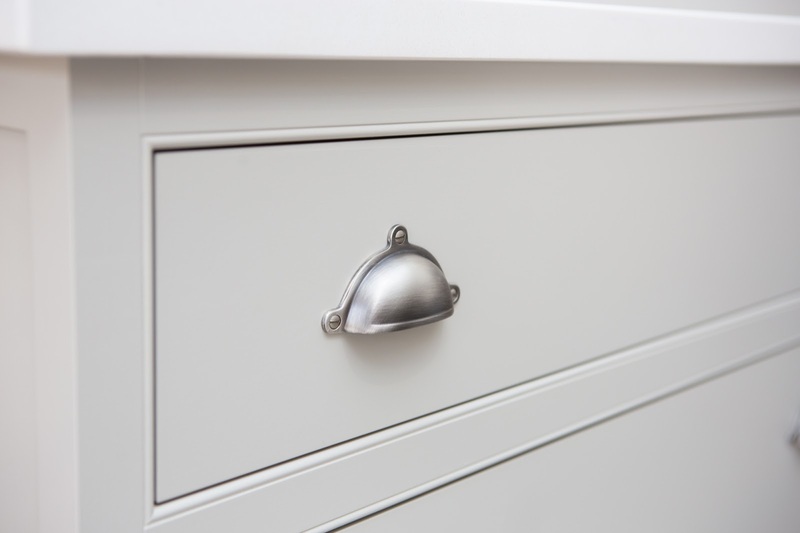 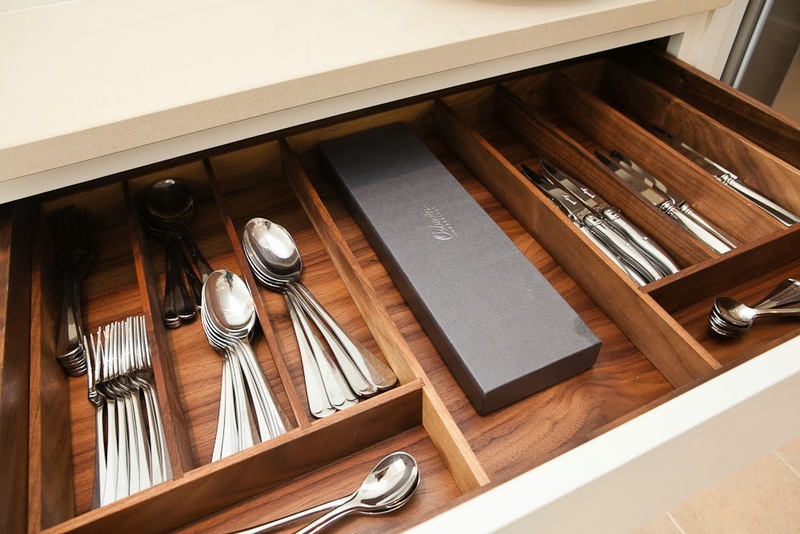 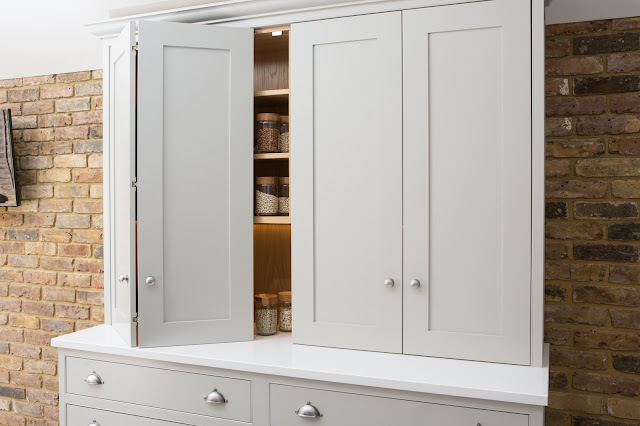 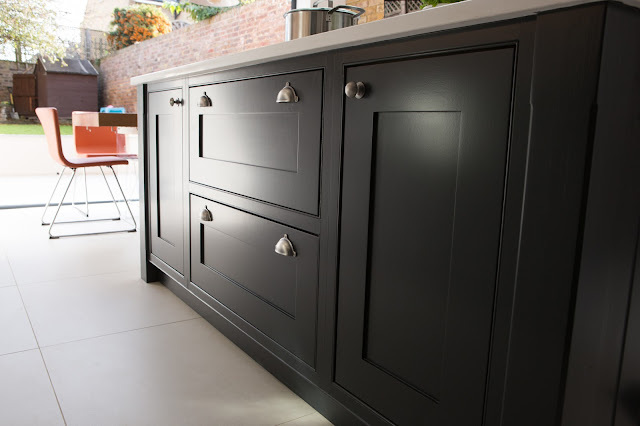 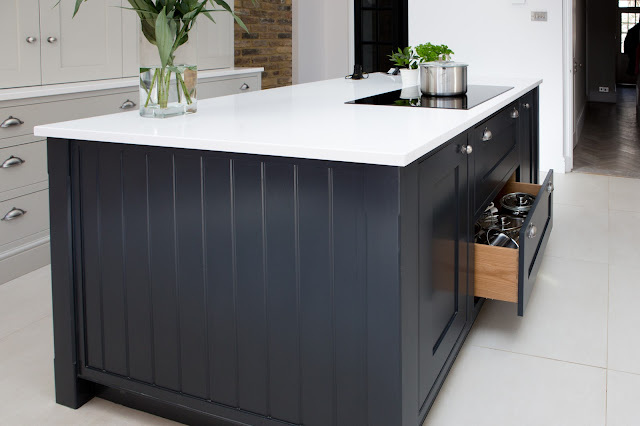 Antique silver handles compliment the stylish pale grey and charcoal scheme which are hand painted in Farrow & Ball Purbeck Stone and Railings. The worktop is Silestone White Storm which is a white quartz with subtle grey speckle. 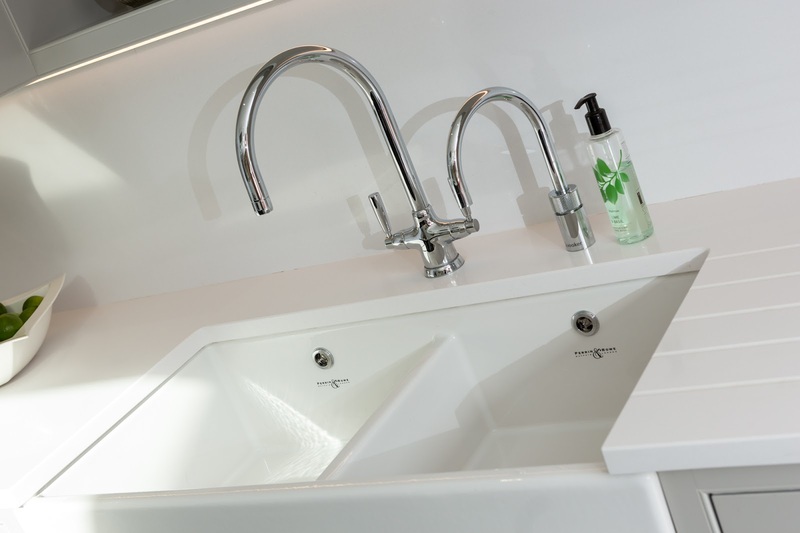 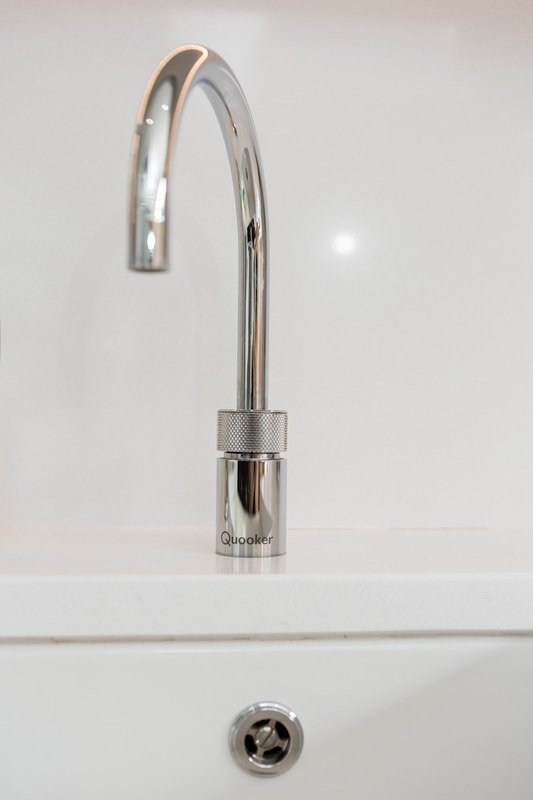 The kitchen has a double Perrin & Rowe sink and Metris tap as well as a Quooker hot tap. 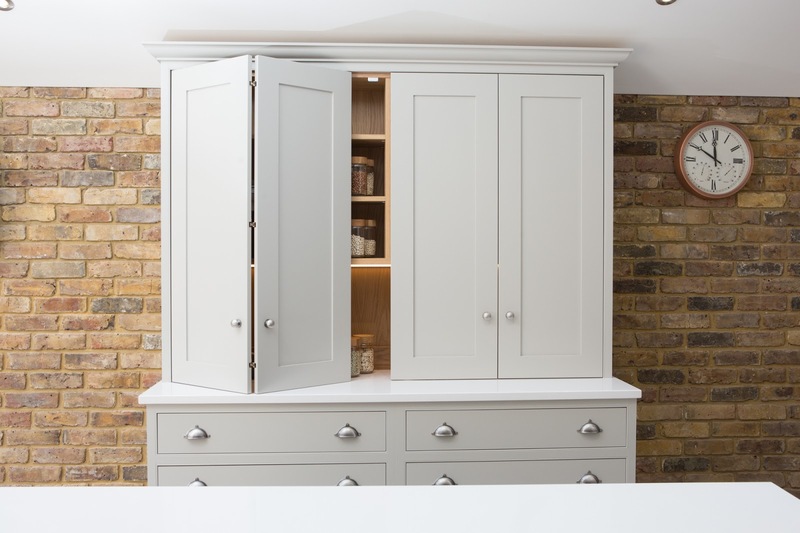 The bi-folding dresser looks stunning against the exposed brick wall and provides additional storage and work space that can be easily hidden away.